Text STONY to 95577 for more info or click here for full details! Here's the scoop! We have a full selection of hand-dipped premium ice cream cones, sundaes, banana splits, floats and the best handmade milk shakes in town. Take a break from all the fun in Pigeon Forge and stop by Mad Dog’s Creamery. 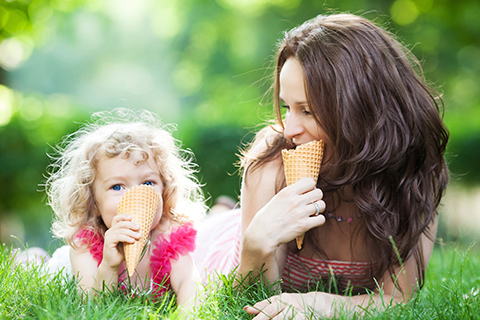 Enjoy one free double scoop of ice cream on a waffle cone per unit, per paid night stay, no reservation required. Noncumulative and nontransferable. Unused admissions expire daily. 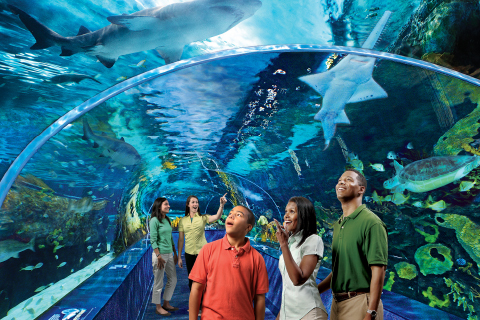 Ripley’s Aquarium of the Smokies is literally teeming with life – their 10,000 exotic sea creatures comprise more than 350 individual species. There are more fish in this aquarium than there are people living in the entire town of Gatlinburg. Enjoy one free adult admission per unit, per paid night stay, no reservation required. Noncumulative and nontransferable. Unused admissions expire daily. 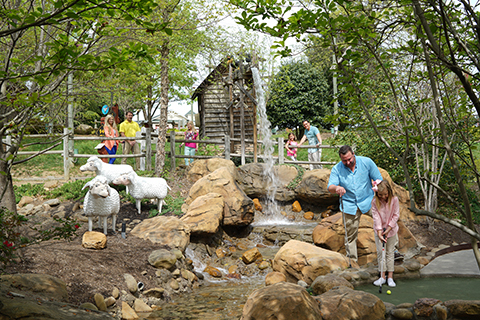 With the Great Smoky Mountains as the backdrop, two beautifully landscaped, 18-hole courses will amaze and delight you with animated and interactive displays throughout. See raccoons, bears, chipmunks, possums, skunks, and even some heckling crows. Come get rowdy with us! 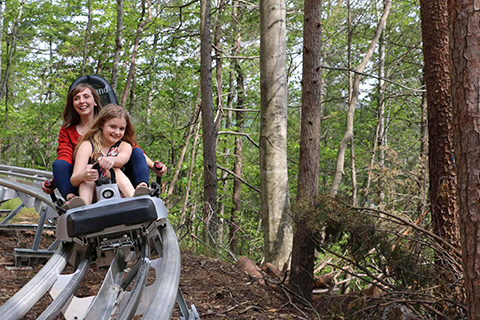 At Rowdy Bear Mountain our Gravity Coaster is fast, smooth, and thrillingly fun! Come and experience the most unique and exciting way to take in the breathtaking views of the Great Smoky Mountains and beautiful downtown Gatlinburg. Enjoy one free adult admission aboard the Gravity Coaster per unit, per paid night stay, with reservations made in advance. Reservation required. Noncumulative and nontransferable. Unused admissions expire daily. It’s Feudin’ Feastin’ Family Fun – These families put the ‘fun’ in DysFUNctional! Choose your side and help end the longest running family feud in American history with a plum ticklin, hilarious competition between clans. 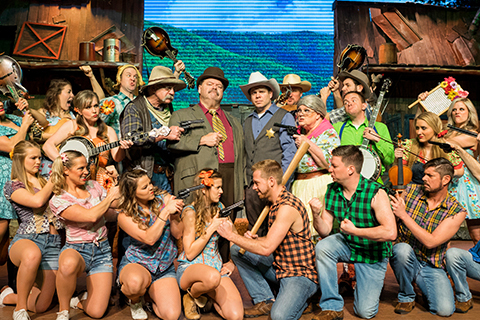 All you can eat – served family style, this feast will stir up loads of laughs, action-packed stunts, extraordinary country, bluegrass, and gospel. Come Join the Fight – best dinner show in town! Enjoy one free adult admission per unit, per paid night stay, with reservations made in advance. Reservation required. Noncumulative and nontransferable. Unused admissions expire daily. 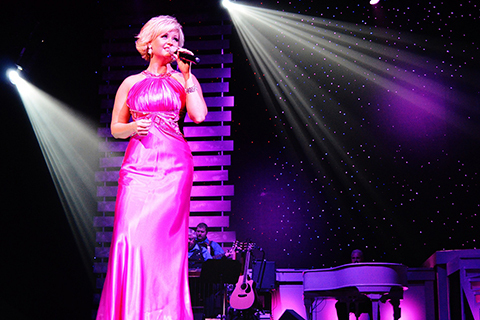 The Smoky Mountain Opry is the area’s largest musical variety show featuring music from Big Band Swing through today’s country. 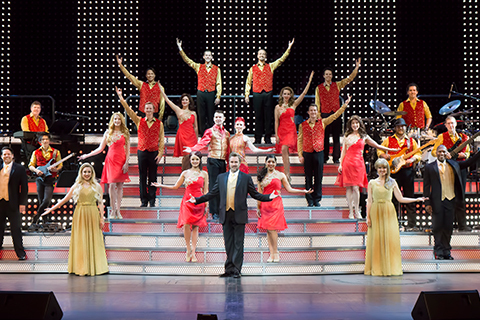 See the most talented cast of singers, dancers, comedians, and musicians the Smokies has to offer! Marvel at our special effects, laser lights, pyro, giant video screens, dazzling costumes, and high flying musicians! Darren Romeo has won Entertainer of the Year, Show of the Year, and Magician of the Year. 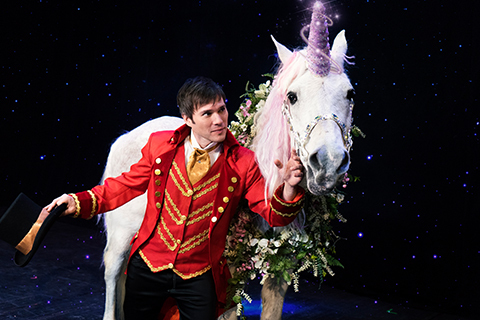 Now he is bringing his Las Vegas caliber illusions to Pigeon Forge so that you and your family can be captivated by this one of a kind show. In this fast-paced production, you will enjoy a variety of dynamic singing and dancing, side-splitting comedy, powerful gospel, and American patriotism. It’s that “feel-good” kind of show that will stay with you long after the vacation is over. The most hilarious and most successful clean comedy show in the world! 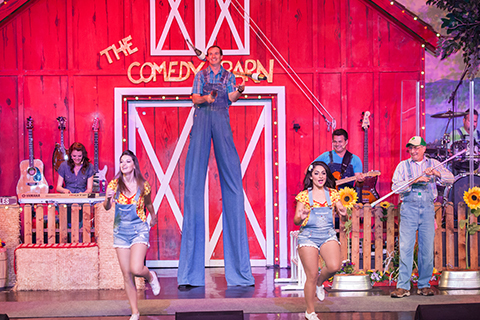 Side-splitting hilarious fun for the whole family, where you will be treated to magicians, jugglers, ventriloquists, animals, comedians, and live country and gospel music. Guaranteed to be a night of a thousand laughs. Come enjoy the Appalachian Mountains by rafting the Pigeon River! 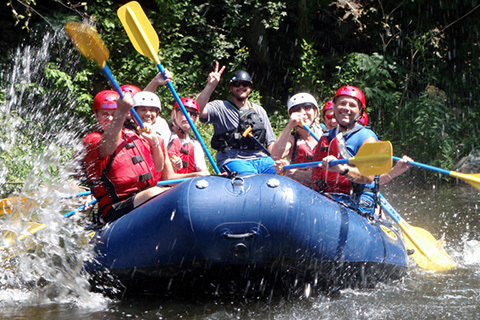 This half-day whitewater rafting expedition will be the talk of your vacation as you enjoy the beauty of the Smokies on a professionally guided whitewater rafting adventure. Experience the great adventure sport of zip-lining with Adventure Park Zip Lines at Five Oaks. It’s over 2,000 feet long. Breathe in the fresh mountain air with a zip line tour through the trees and get back to nature! Legacy Mountain Zip Lines consists of 7 thrilling lines ranging from 1800 feet to 2500 feet long on 400 acres of Smoky Mountain terrain. On your tour, you will travel over three rope bridges, ride an ATV, see breathtaking views, and journey mountain top to mountain top on 4.5 miles of zip line cable.